The GESERCO MFTestTM Kits are standalone portable mini labs for testing metal machining and metal cutting fluids according to the methods and standards developed by CETIM, the French National Technical Center for Mechanical industries. The kit allows for an accurate monitoring of the fluid essential properties in order to maximize quality, preserve operator safety and protect the environment. Sludge, sediments and particle presence. The tests are simple and rapid. 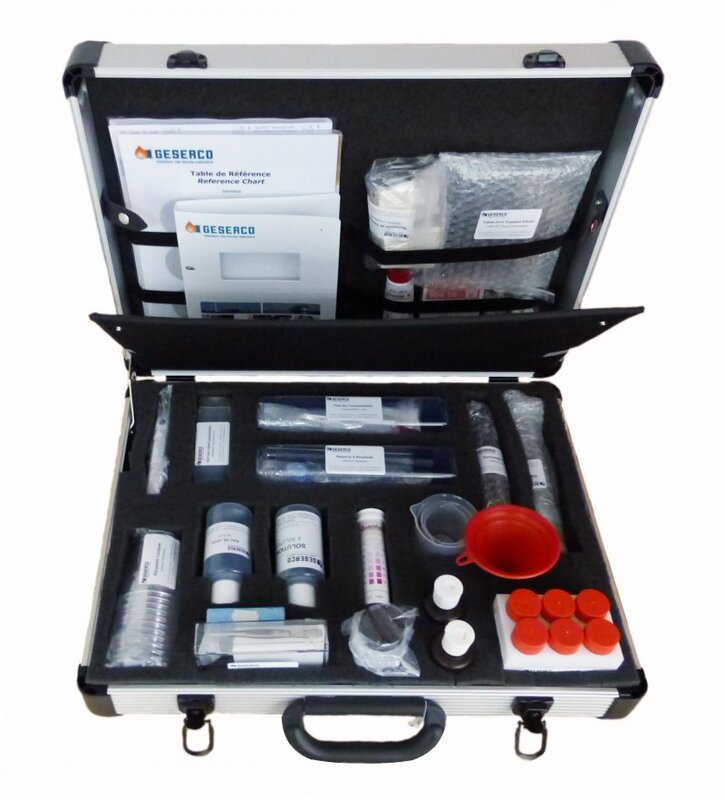 The kit includes detailed testing and interpretation guide for immediate use of the tests, result understanding, even by a non specialized operator, and monitoring the fluids over time.